Imperator: Rome — The grand strategy to rule them all? BSG Deadlock: Anabasis — Can you save humanity? No pressure, but you're in charge of all of Humankind. 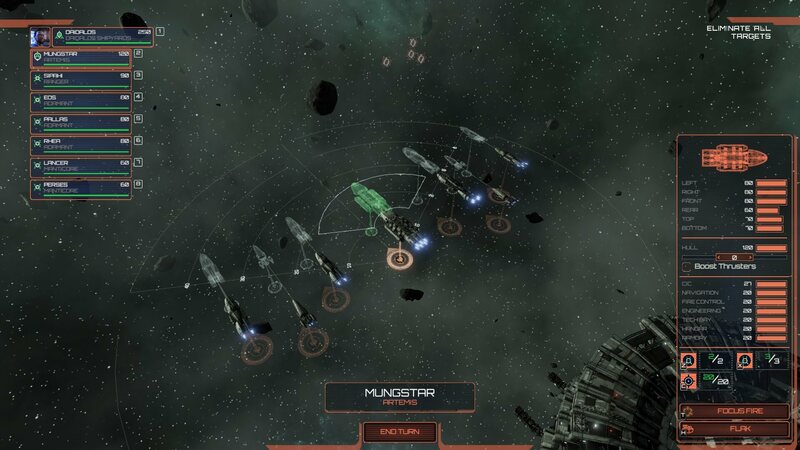 Adding new skirmishes, missions, munitions and more, Battlestar Galactica Deadlock’s new Anabasis DLC is humongous. If you ever watched the TV show Battlestar Galactica (the version from 2005–2009… not the silly ‘70s one), then you’ve probably already been playing Battlestar Galactica Deadlock. Already an excellent game, they have now added their first DLC: Anabasis. Of course, it also came with some updates and changes that made the base game even better. Upgrades first so I can save the Cylon metal-meat until later. The first huge thing Anabasis added is new Resource Missions. There are twelve of these new head-spinners to encounter during the campaign — Coordinated Strike, Demolition Crew, Diplomatic Relations, Dropbox, Hub Assault, Interference, President’s Aide, Rescue Trade Minister, Station Purge, Tactical Advantage, Trojan and War Tourism. Each new mission imparts a fresh tactical goal you will need to obtain. Obviously, these are in addition to all of the troubled situations already in-game. I could be super spoilery here, but I’ll only say that ‘Trojan’ might make you pee a little bit. 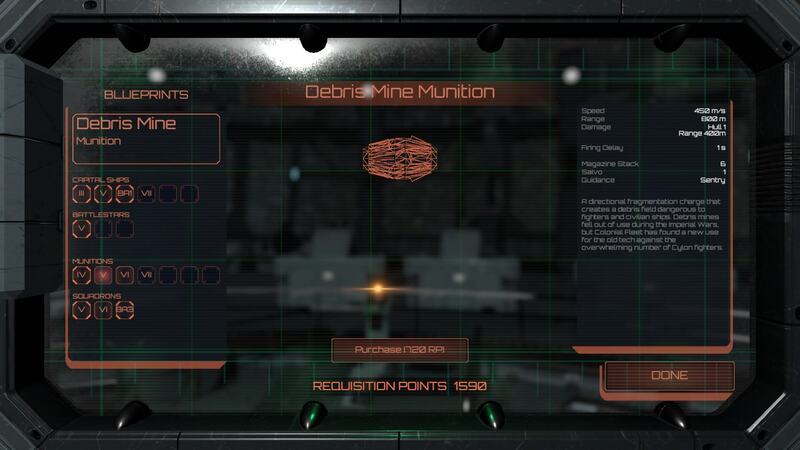 Next, Anabasis added new types of munitions — unfortunately, not just for us, but for the Toasters too. 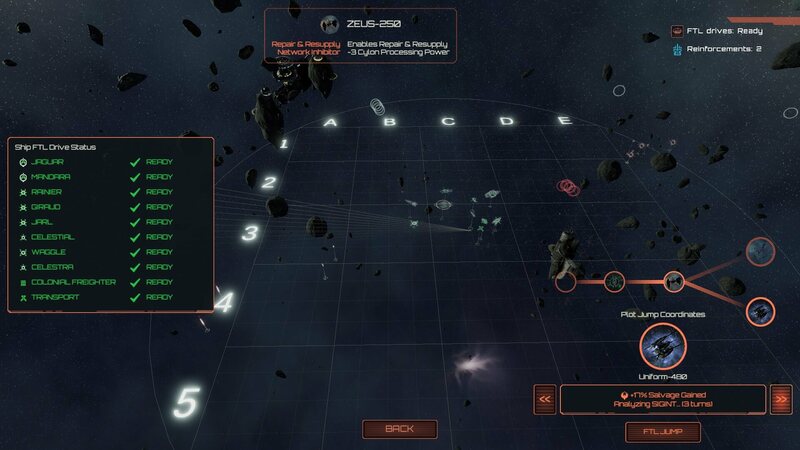 We get a Debris Mine which, once it reaches its target, it automatically detonates. Boom, Toaster meat! We also get EMP generators. These discharge an electromagnetic pulse which damages nearby Cylon capital ships while only slightly damaging your own systems. Instead of launching a missile from a missile tube, your ship instead winds up its generator for a period of three seconds, after which an EMP pulse is released, centered on your launching ship. You’ve got to be close to them, but it seems like I’m always too close as it is. Finally, we get a Scrambler which projects an ECM field, scrambling the enemy’s DRADIS and target locks. If our ships are in the 400U radius, they get their target lock removed, making them hidden against guided munitions attacks. If the Cylons are in the radius, they are automatically identified and have the maximum strength of their Tech Bay reduced. New toys for my original campaign. However, the Cylons get a nasty new toy too: The Comet PCM. It’s an unguided ballistic projectile with a homing device and a modified jamming suite. It attempts to subvert any guided missiles it passes close to, then reprograms them to follow it into your ships. That means — their missiles, your missiles, the Comet will bring everything they can grab with them… into your ship. Anabasis also gives us eleven new skirmish maps. They are all thematic and will not only introduce new objects, but force you to come up with new strategies. These new maps work in single player, multiplayer and the new Operation Anabasis mode. Your mission, Jim… that you have to accept. 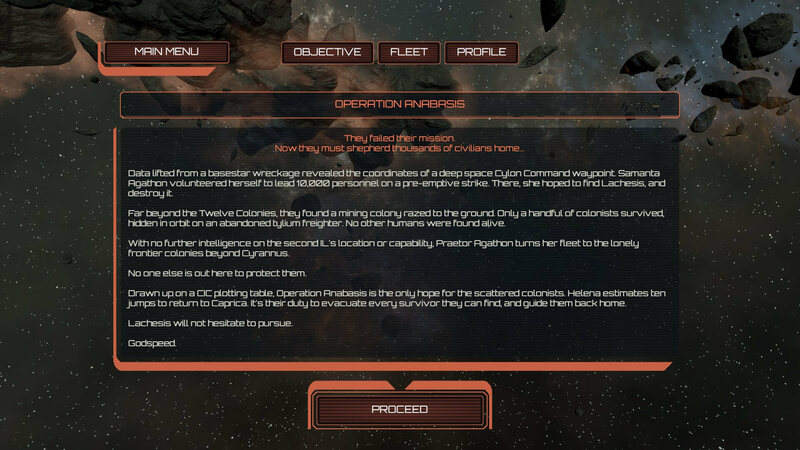 Operation Anabasis is the huge, new addition and game mode for Battlestar Galactica Deadlock. This is the method that makes the game feel almost like the exciting TV show. 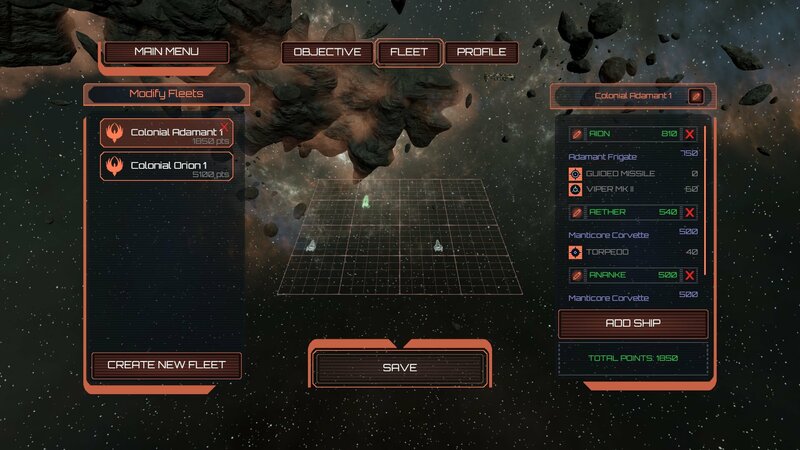 In this new survival approach, you’re in charge of a single fleet of both military and civilian ships. You’re trying to get back to Caprica. The Cylons are hunting you mercilessly through a series of a multitude of jumps. They never let up. Ever. There are two counters in the upper right. One is how many turns until all of your ships are ready to jump. The other is the countdown to Cylon reinforcements — on the same map until you jump! Not all of your ships spin up their FTLs at the same rate — meaning, if you don’t wait until they are all ready, oh you can still jump, but you’ll have to leave some ships behind. Obviously, if left back, they’re gone. For good. Remember, you’re in charge of Humanity here. Let’s get the hell out of here! At first, you’ll be able to spin-up and be ready/able to jump before they get their reinforcements. Soon though, that’s not the case anymore. They start getting new ships to jump into the fray before you’re ready to leave. What I didn’t realize initially is that they can get more than one set of reinforcements during each fight. That freaked me out, to say the least. For example, you still have seven turns before you can jump. You’ve finished off all but two of the Toasters. Four more of them jump in. Now, you have two bad guys that you’ve been beating on a while, but they have four fresh ships out to destroy mankind (you). Their reinforcement timer resets to three turns again. Once those three are up, five more enemies jump in, regardless of how you’ve been doing with the mess you’re already in. It’s still four turns until all of your ships will be ready to go — but you can see they’ll get more in three turns. Do you try and keep slugging it out? You’re getting the hell beaten out of you anyway. Or, do you take the ships that are ready and jump… leaving part of the fleet behind, lost forever? This will be a slugfest. You have limited resources to use between jumps for repair (you might get some salvage when you jump), plus your ships aren’t back to capacity like they are after a fight in the campaign. The whole point is to see how far you can get — most importantly, with how many survivors are left by the time you reach Caprica… if you make it that far. Note: During this review, they released an update with the main highlight being that you can now change the difficulty level of the Anabasis Campaign (before you start, I assume). Don’t get me wrong, it’s brutally tough, but I wasn’t going to alter it, or restart, for the review. Figured I’d just keep playing it the way it was originally designed. Totals on the right. I don’t have enough for everything. Will take some new missiles though. Anabasis simply blew me away. I already love Battlestar and haven’t even finished the campaign yet. In reality, I had two games going at once: the original campaign and Operation Anabasis… finding myself spending way more time on the latter than the former. The intensity and pressure you feel trying to keep all of these people alive is enormous… and fantastically fun. It hurts when I lose people. It pains me to lose ships either by destruction or having to make the judgment call to leave them behind. This is unquestionably one of the best DLCs for any game ever made. 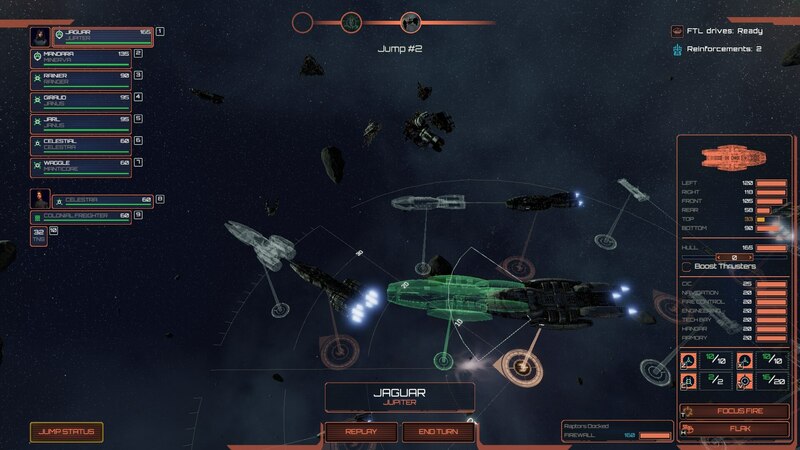 Battlestar Galactica Deadlock: Anabasis is available now for PC.